We are often reminded to live in the present. Especially when faced with fears that await us on a daily basis. Hmmmm. The dictionary didn’t give this word any particular connotation, as in a regional dialect, or foreign expression. I rather thought it sounded like something the British would use. Okay, but above that I found my earlier inflection instincts were spot-on! “Etymology 2: Unknown. UK criminal slang. Possibly originally from dialectal nonce, nonse (“stupid, worthless individual”), or Nance, nance (“effeminate man”), from Nancy boy.” (A derogatory term that we do not condone. quoi… to quote the French. “For the time being” is lifeless … but for the nonce holds charm. 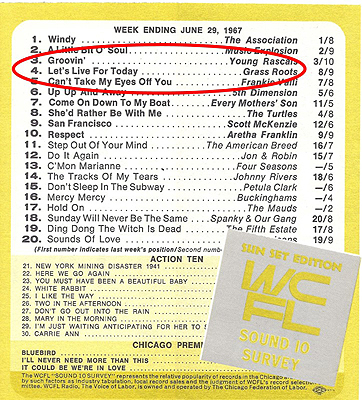 * In case you’re just a young’un and didn’t catch the song reference, we agreed with artists The Grass Roots 50 years ago when fans pushed their bouncy, prophetic tune “Let’s Live for Today,” up to #4 on WCFL/Chicago’s Sound 10 Survey. 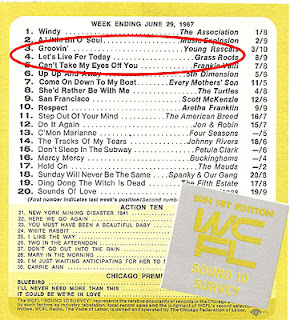 (June 29, 1967) In the video, vintage TV host and comedian, Jimmy Durante introduced The Grass Roots with, "They don't have a manager, they have a gardener!" Cue the drum-roll. Word Challenge: NONCE. For those moments when you must stay put, for the nonce. Consider the advantages as you fit nonce into your week of one-and-done writings.